Marco Orozco lifts his fists after pounding a technical knockout win over Matt Lovato during the Central Coast Throwdown at Palma High School. 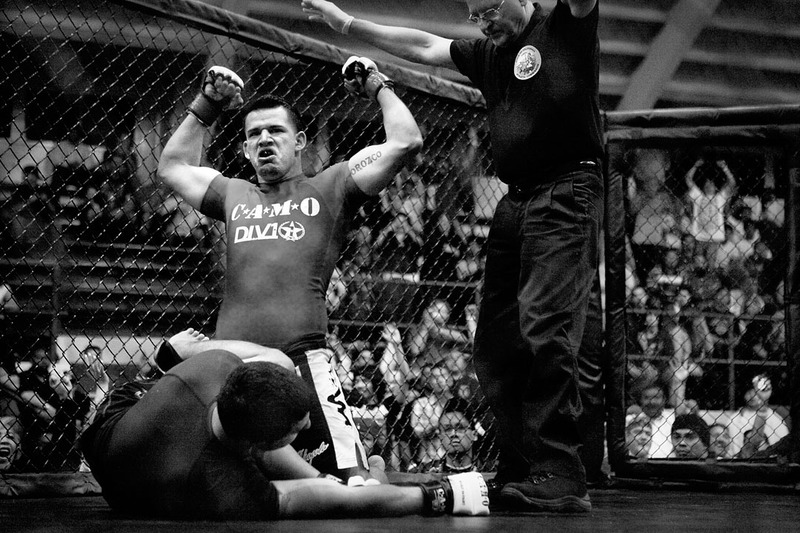 The fear many MMA promoters face is the chance of a major injury to a competitor, or even death. Because the sport is so young, especially with its recent sanctioning in California, many fear that a serious incident could end amateur fights in the state permanently.